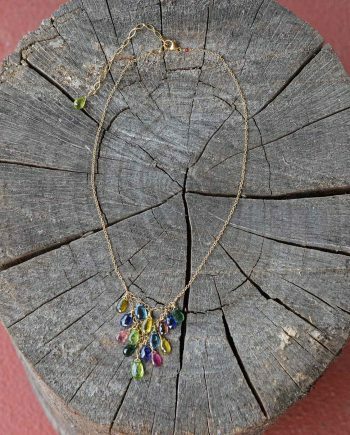 This necklace is an art piece! 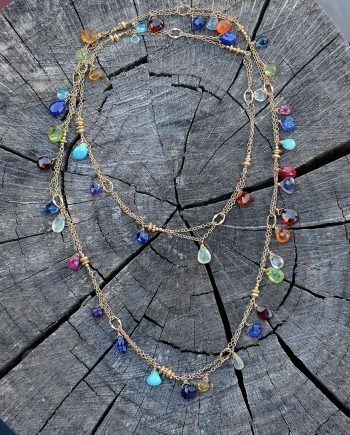 Can be worn as many ways as you can imagine, have fun with it! 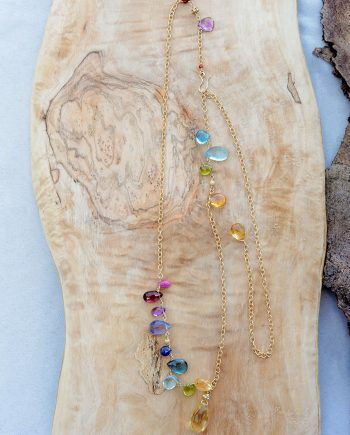 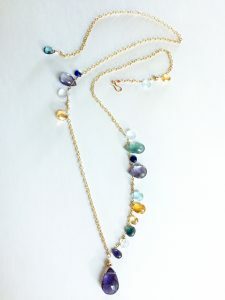 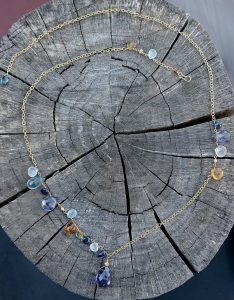 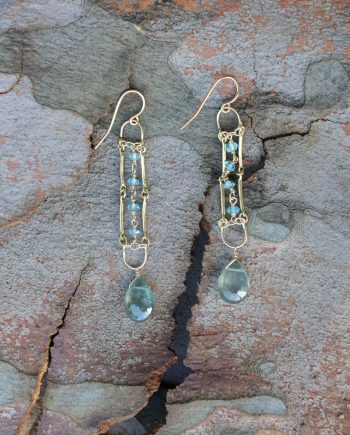 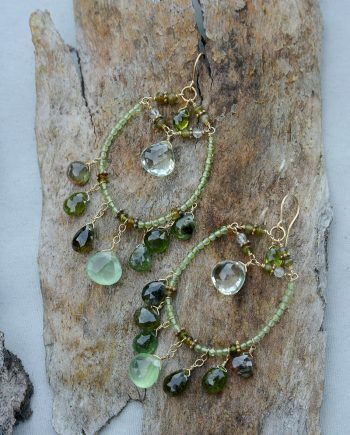 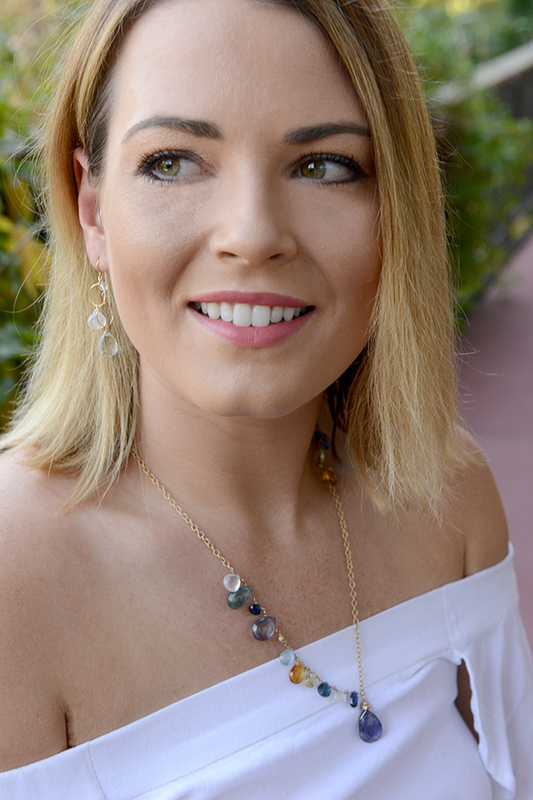 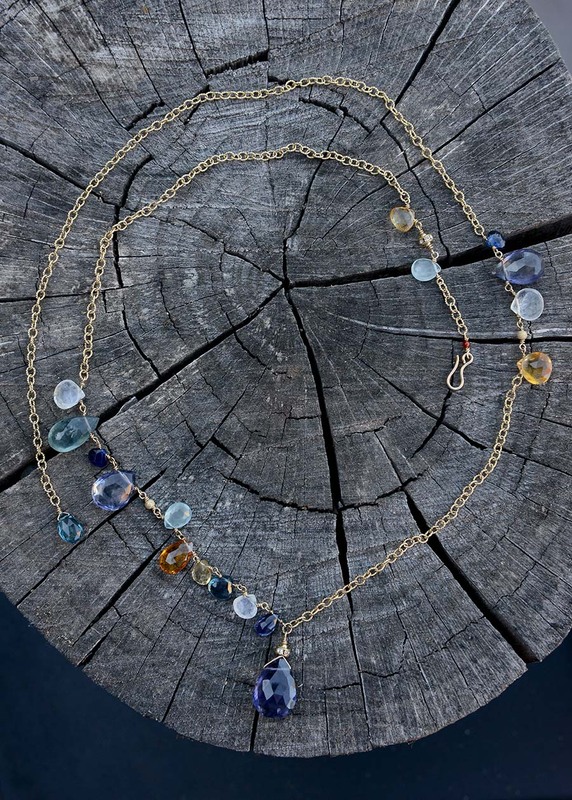 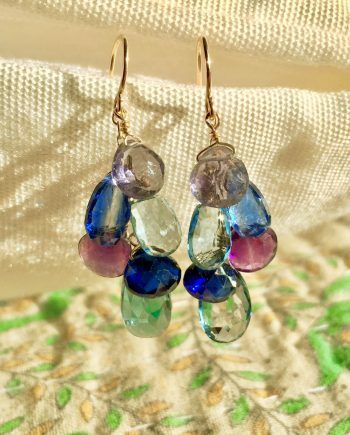 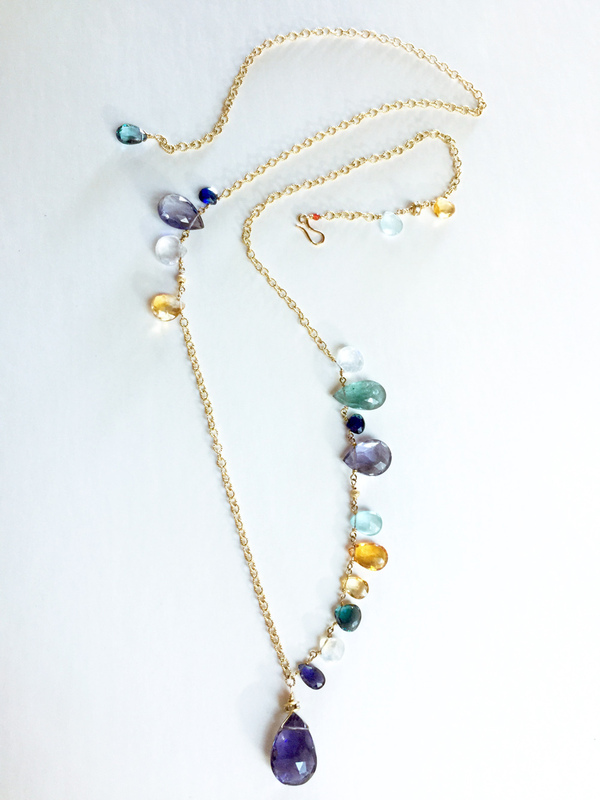 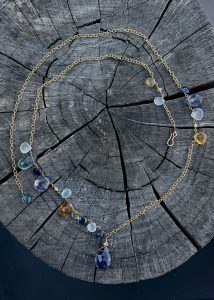 Made of Iolite, Moonstone, London Topaz, Citrine and Aquamarine; accented with Austrian Crystal rondelle, on 14K Gold-filled.